This inspired the transformation of Barton McGill Ltd in 1892, formerly packers of pianos and providers of burial furniture for undertakers. The demand for billiard tables spread rapidly in the new colonies, as such games were an important catalyst in early communities. 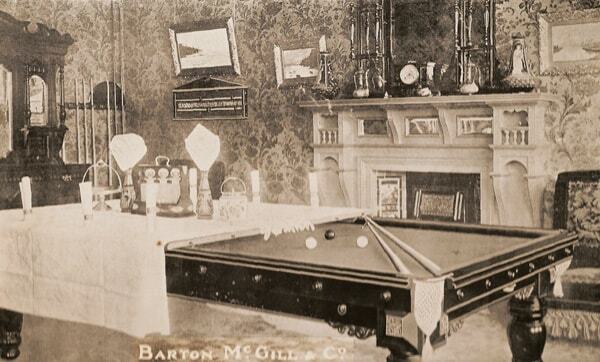 Barton McGill tables gained pride of place in timber towns, gentlemen’s and workingmen’s clubs. People of all ages and from all walks of life could make new contacts or tune their skills for competition. Unpopulated farming areas flourished and even if there was no road access, river barges allowed remote destinations to celebrate together. Large homesteads or wealthy merchants could entertain guests with steady, hand-eye coordination. Within six years, Messrs Thomas Barton and Henry Joseph McGill had established a reputation for spectacular, handcrafted tables. discerning, international buyers were impressed and large numbers were exported around the Pacific and Australia. A magnificent hand-carved, full-size billiard table was entered in “the international exhibition” in Brisbane, Queensland in 1897. The young Barton McGill company was proud to be awarded a supreme award, the gold medal. 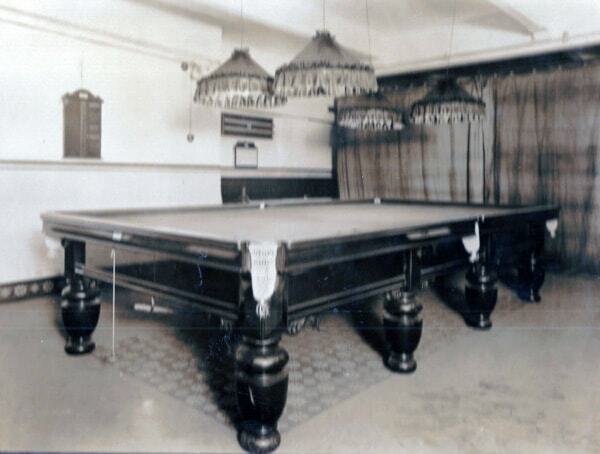 In 1901 at Buffalo, NY, the USA at “the Great World Exhibition”, another gold was secured for their “patent elevated billiard lever table” which converted from a dining table to a billiard table in one motion. A purpose-built factory was designed to accommodate the company’s expansion. The blending of finest materials and outstanding craftsmanship was further developed. Scientific construction methods and the ability to match climatic issues meant their final structures would never bend, crack, shrink or twist with age. The inherent material qualities or tendencies would be carefully balanced and matched. Throughout World War II, as the importing of cloth became difficult, the company survived on servicing, maintenance and repair work. This included diversification into bar construction, furniture or fittings supply. With the arrival and popularity of pool in the 1960s, hotels were keen to install “7ft” coin operated tables – the boom was back! Snooker regained its reputation and was followed widely as pot black, the world series TV competition made star players into worldwide, household names. The demand for tables in private homes soared as families preferred to spend time together and host young adult gatherings. Generations can share or inherit traditional values like companionship. Barton McGill tables have been selected for 5 World Championships over the last 25 years. Starting as a junior, the Current Managing Director, Peter, has for over 30 years strived to bring the company to its contemporary position. From a small, old fashioned company to their present success and locations, including the manufacturing workshop – plus the premiere Barton McGill showroom at 132 Wairau Rd, North Shore in Auckland. 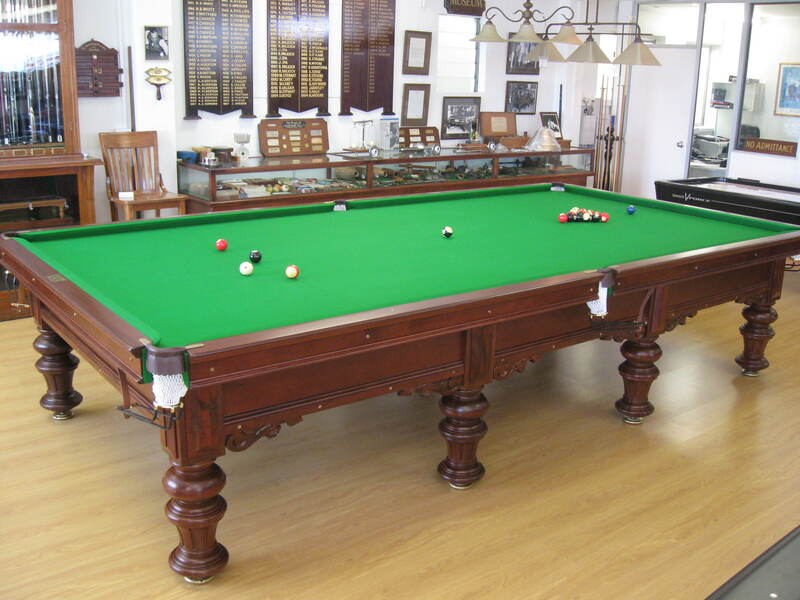 In 2005, Barton McGill became the exclusive New Zealand distributor for the world famous Brunswick pool tables, a company with 165 years in the billiards industry. 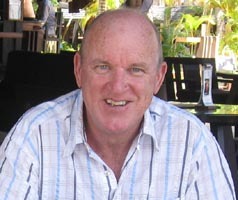 In 2012, Barton McGill became the exclusive NZ distributor for the world’s #1 in home resort products, Cal Spas. 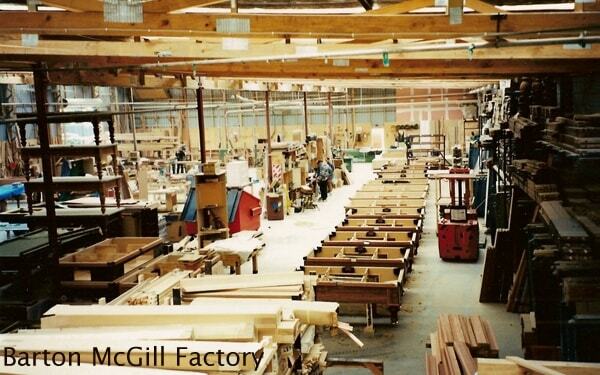 With local contracts and recent growth in China and Asia, Barton McGill continues to offer products and services which are considered by many to be timeless, antique or contemporary tables, designed for today, finished as they were 120 years ago, at Barton McGill, where quality is the only mission. 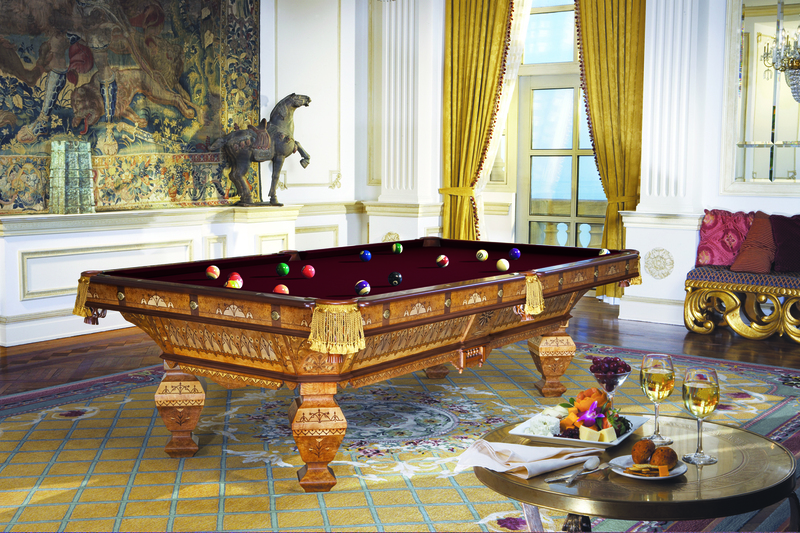 Patent billiard-dining table,superior design, simple to operate, correct height for dining or billiards. “magnificent”, hand carved, gold medal winning full-size table from barton mcgill,1897.